Steven Hart and Tracy Pierce are two volunteers every nonprofit would love to have. They are imaginative, funny, dependable, and they love doing things for our children, youth and families. These two men, both from Dahlonega, are proactive in finding creative ways to serve. They have brought hundreds of pounds of potatoes, cases of beef stew and other food items for our residents on campus. They started a garden to turn over to our residents and began it with blueberries, figs and raspberries that they dug out of their land in Dahlonega. They prepared the soil and did most of the planting. They brought hundreds of free seedlings which were sold at our last flea market. 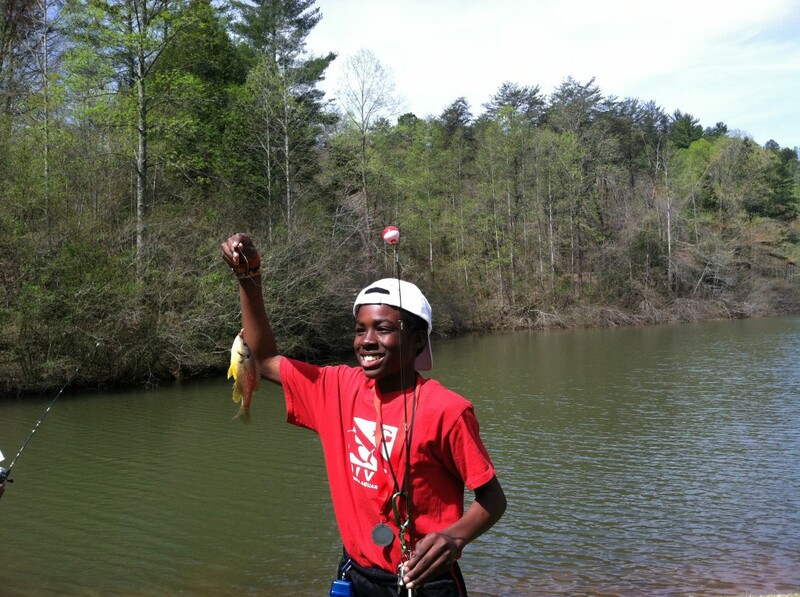 They treated our children and families to a fishing derby at Camp Glisson. As you can see, there were big smiles every time the kids caught a fish. It was a new experience and a huge confidence-builder. 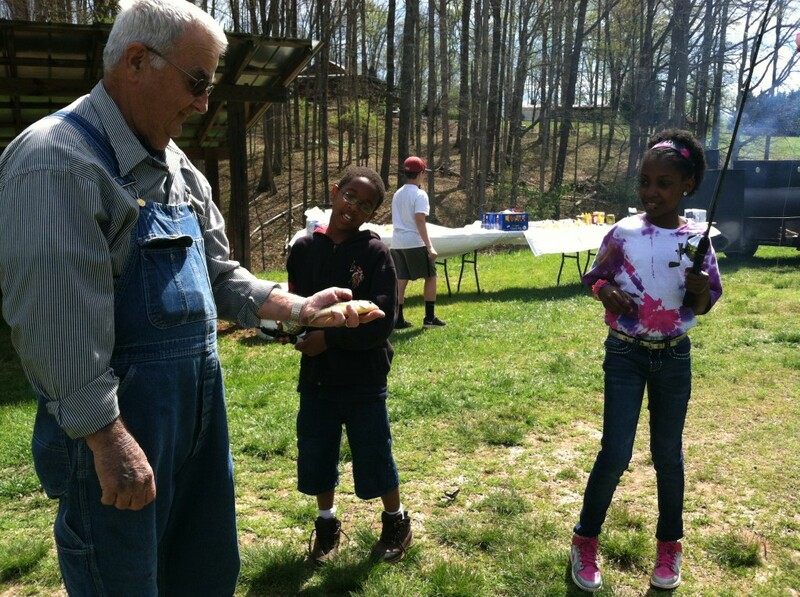 The folks at Camp Glisson grilled hot dogs and hamburgers. It was a great day! And they’re not tired yet! They already have plans to take our residents to a Gwinnett Braves game in August. Thank you, Steven and Tracy! We are grateful for your creative, enthusiastic and dependable service. Learn more about volunteering at UMCH.